We live in a crazy world. And we all know it even if we don’t want to accept it. Sometimes I feel too much and I get too emotional about things that surround me and have nothing to do with my personal life. And sometimes I suffer too much for the world. Even without realizing it I turned out to be a human lover that is being hurt by all the evil in our society, by all the iniquity that happens on a daily basis in almost every corner of the world. I “close” myself into my thoughts and I let only my nearest and closest people enter in my routine and exchange opinions with them (being an introverted journalist living in a social media world really makes it hard for me from time to time 🙂). I am not writing this blog post because of myself but because I am sure I am not the only one who feels that way. In the past few months looking at the global political scene we’ve witnessed a total mess up. The Olympic Games in Rio 2016 were just another example of the complicated society we live in, society ruled by the rich ones while the poor ones starve to death. Rio had two sides – the glamorous one and the one which media was very interested in talking about – robberies, bad conditions etc. Good for us, volleyball fans, in the volleyball tournament we haven’t had “the opportunity” to watch a scandal or something like that. 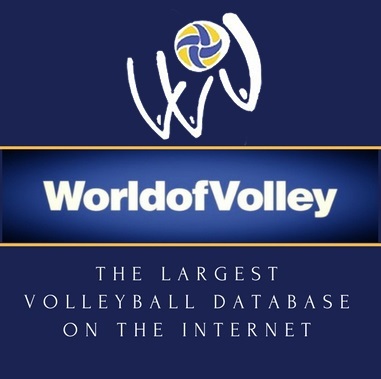 We’ve only had the pleasure to watch volleyball, to share volleyball moments, emotions etc. To me personally, the most emotional moment was the match between Italy and USA in the semi-final. It was such a thriller for me to see who’s going to win because in such games it’s not only about technical skill but firstly and above all – it’s about psychological persistence to tension. The final match gave us a great Brazil willing to take the gold and a result 3:0. So Italy went home with the silver. Just 3 days later a big tragedy happened. The earthquake in the Apennines left more than 2.000 people living in camps while the death toll hit a number greater than 290 victims (by the moment of writing this article). A day of national mourning has begun today, Saturday, 27th of August. They say we can see something good even in the worst of times. I don’t know if I am capable of doing so but yesterday I’ve read in Italian media something that kind of restored my faith in humanity and proved me right once again that volleyball is the sport that makes difference. Meanwhile the Italian Fondazione Giovanni Agnelli donating 150.000euros made a quest together with Gazzeta dello Sport among the readers of the newspaper about the three “most emotional medals” won by Italy in Rio 2016. 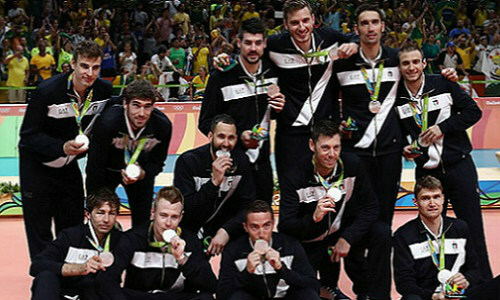 The Italian National team got the third place (50.000euros). The volleyball players donated that award to the victims to the people affected by the earthquake in Umbria, Lazio and Mavicrche. This was announced by the captain Emanuele Birarelli in an interview for Gazzeta dello Sport. Well…we’ve been talking many times about how volleyball could impact on society and make it better. But one thing is talking, and completely another one – acting. That gesture means a lot more that winning the gold at any competition. Because it’s a perfect example of having a gold heart, giving a helping hand. “As you grow older, you will discover that you have two hands, one for helping yourself, the other for helping others”. Isn’t that “la medaglia più bella medaglia” (the most wonderful medal)? P.S. Many thanks go specially also to Federazione Giovanni Agnelli who decided to spread the message for humanity throught our beloved sport.